Myoung Ho Lee is a South Korean artist and photographer. 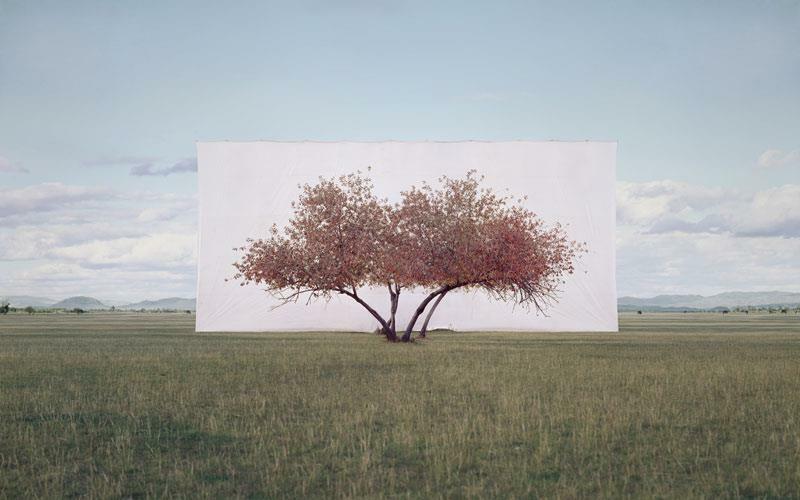 By using a simple backdrop, Myoung Ho Lee separates various trees from their natural environments. The photographs were taken with a 4×5 camera. The long-standing “Tree” series depicts a wide range of tree species during different seasons and times of the day. This way, the photographer is creating a partial, temporary outdoor studio for each tree. The images play with ideas of scale and perception while referencing to traditional paintings and simple portraits. You can find more of his work on his website. Newer Post Photographer Jess Bell capturing unique and artistic images of animals in action. Older Post Mystical Photos of the Enchanting English Forests of Wistman’s Wood.